These are adorable! My sister did one of these the other day and it turned out super cute! Those are cute minifigure, I like lego too, good for my son's to build up his imaginations. I love that, we could definiltey use a card like that this year to send out. Lego are fun even though they can be too much to handle when everything are on the floor. LOL! 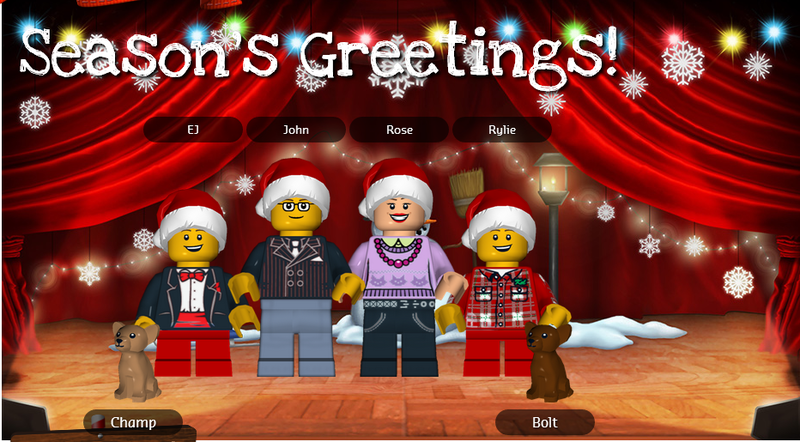 It is such a cutie LEGO Family! That is so much fun and I bet I would have a hard time too making one for the family. How adorable! Awww.. that is adorable. :) I love that the furry babies are there too. This is the cutest thing ever! I'm going to make one for sure. My boys will love it!